The enigmatic Tennessee-raised, Turin-based Yves Tumor presents a poignant new album, recorded between Miami, Leipzig, Los Angeles and Berlin over the past three years. 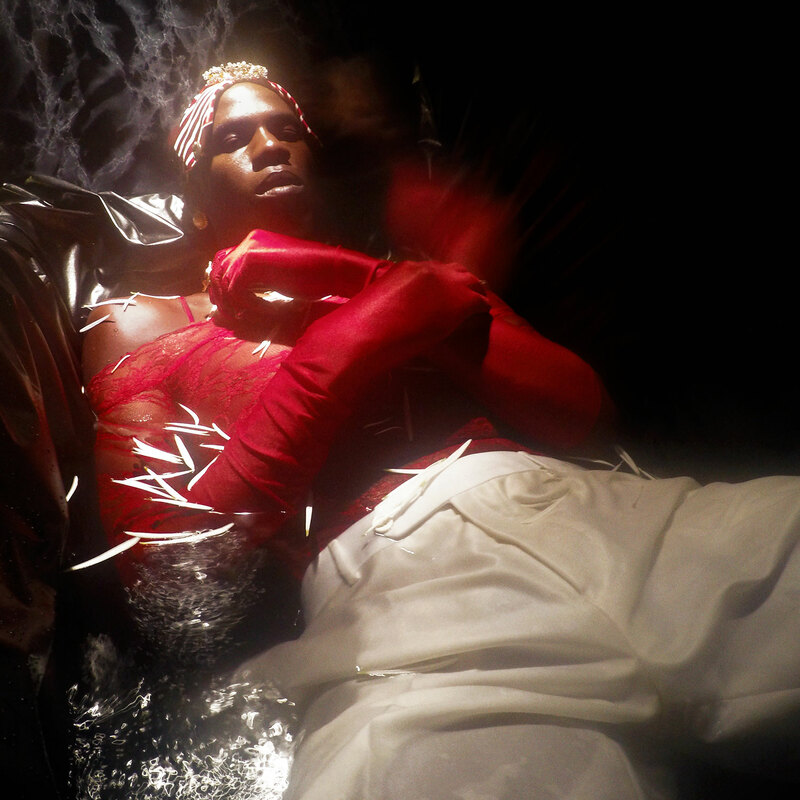 Evolved from a diverse and prolific creative history under an expansive plethora of covert aliases via various forward-thinking labels, ‘Yves Tumor’ emerges as his most personal and matured incarnation to date. With involvement across various artistic outlets expanding to fashion such as a visceral live performance for LA’s Hood By Air earlier this year, the global artist has built a distinctly bold personal aesthetic both musically and visually as a performer. Painstakingly written from pieces developed upon since 2013, the new record, titled ‘Serpent Music’, was initially composed as a soul record – based around delicate and emotive songwriting in various forms. It was a highly difficult project to undertake on both a creative and personal level, weaving thematic links through paranoia, social anxiety, and missing loved ones. “The songs come from a much more emotional and very vulnerable place… They’re very close to me and I’ve been cautious of how I would eventually present them to the world.” he explains. 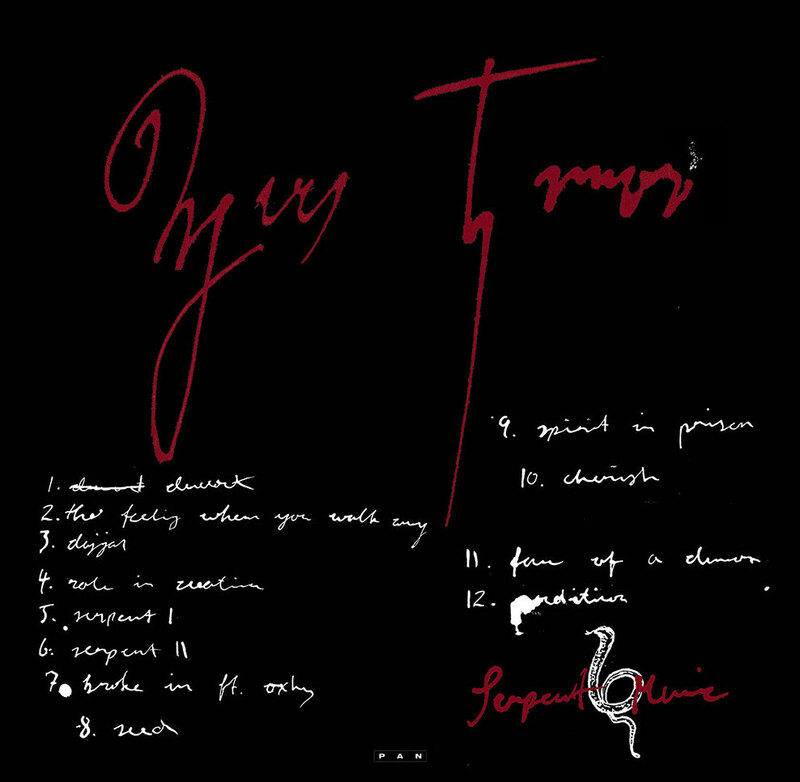 The album spans sonically diverse and richly-textured pieces, formed from live, organic instruments, samples and various field recordings. Dreamlike lo-fi psychedelia sits alongside broken electronic experimentations, ambient compositions between abrasive noise offer insight into a haunting otherworld. From melodic choral vocals and soaring synths, to screeching guitar riffs, dramatic spoken word samples and live drumming, ‘Serpent Music’ evidently moves through a strange and intriguing personal journey. The album is mastered and cut by Rashad Becker at D&M, featuring photography by Daniel Sannwald.